The Mexican government has sent an extra 500 federal police to its border with Guatemala in anticipation of their arrival, say documents obtained by NBC. The traders discovered that the more successful they were, the more inventory they needed. And getting it was not always easy. And so they took to importing slaves: "also arriving at Verdun for onward transshiprnent to Spain or North Africa were Slavs taken prisoner in the East." (Robin Blackburn, The making of New World slavery: from the Baroque to the modern, 1492-1800, Verso, 1997, p 43) Verdun is in France close to the borders with Belgium, Luxembourg, and Germany, and is marked by "A" on the map at right. "Children originally numbering 20,000 were led by Nicholas to various locations in Italy with the hope of continuing to the Holy Land. By the time they arrived their number had been greatly diminished by hunger, exposure (they had crossed the Alps), kidnapping, and murder. This is all Soros/UN/DEM push for the mid-term manufactured "crisis"
Secret internal reports and memos by one of George Soros?s left-wing front groups reveals the socialist billionaire?s subversive reach within the Obama administration, the United Nations, and the governing structures European Union, especially as it relates to the manufactured refugee/migration crisis. A May 12, 2016 report of the International Migration Institute (IMI), an official project of Soros?s Open Society Foundations (OSF), provides an important window to view the working relationships among the IMI refugee activists and their allies inside the Obama administration and the United Nations. The nine-page report, by top IMI staffers Anna Crowley and Kate Rosin, entitled ?Migration Governance and Enforcement Portfolio Review,? is one of many Soros/OSF documents released this week by DCLeaks.com, which describes itself as a project ?launched by the American hacktivists? who ?believe U.S. citizens have the right to know how domestic and foreign policies of the United States are shaped and who the real policy maker is.? Quite clearly, when it comes to migrant/refugee policy, Soros and his fellow globalists are the real policy makers. Soros staffers Crowley and Rosin call for ?accepting the current crisis as the new normal and moving beyond the need to react.? A leaked memo from left-wing financier George Soros?s Open Society Foundations argues that Europe?s refugee crisis should be accepted as a ?new normal,? and that the refugee crisis means ?new opportunities? for Soros? organization to influence immigration policies on a global scale. OSF program officer Anna Crowley and program specialist Katin Rosin co-authored the May 12 memo, titled ?Migration Governance and Enforcement Portfolio Review.? With the election of Emmanuel Macron to the presidency of France over the weekend, the leaders of Europe?s top four economies ? Germany, the United Kingdom, France, and Italy ? have zero children between them, a feat perhaps never before matched in European history. TECUN UMAN, Guatemala (AP) ? 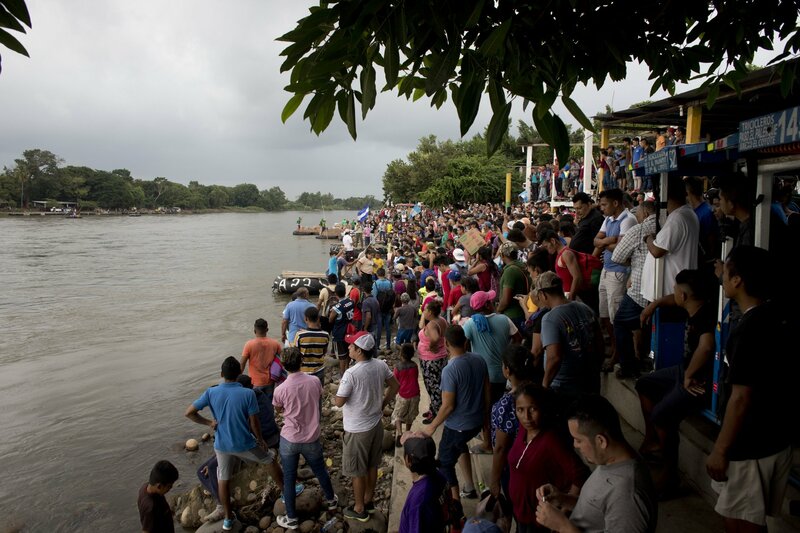 Several hundred migrants tried to cross the Suchiate River from Guatemala to Mexico en masse on Monday, but were met by ranks of Mexican federal police who blocked them from entering. The standoff on the riverbank followed a more violent confrontation that occurred on the nearby bridge over the river the night before, when migrants tossed rocks and used sticks against Mexico police. One migrant was killed Sunday night by a head wound, but the cause was unclear. While migrants on the bridge had appeared to be preparing for a second day of confrontations early Monday, they instead tried the route taken by the first caravan 10 days ago after it, too, was blocked: turn to the river below. But since that crossing, the Mexican Navy has begun patrolling the Suchiate River, and Mexican police have taken up positions on the riverbank, insisting migrants register before entering and show travel documents that many do not have. Even ABC is now alluding there may be a well organized effort and that Middle Eastern people may be embedded in the caravan. See their post HERE. 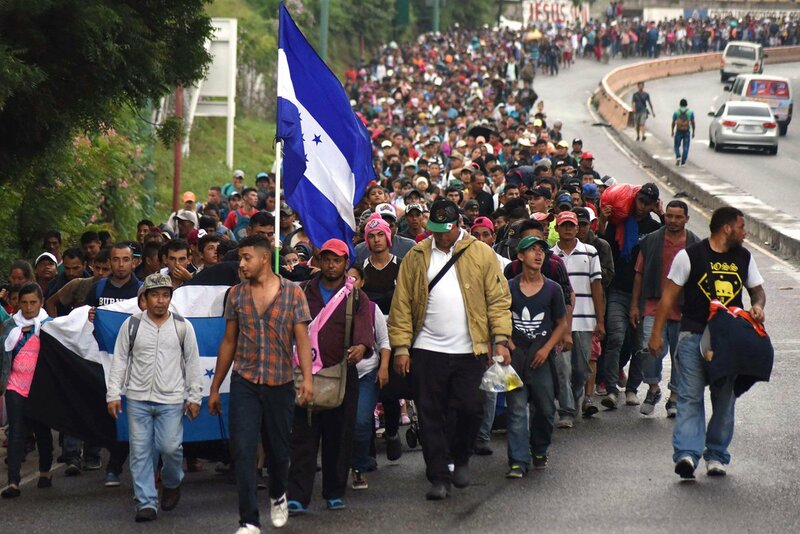 Guatemalan authorities on Sunday estimated the new group -- which gathered in a Guatemalan city near the border of Honduras -- to be at 1,000. But the group appears to be growing. The Journal, citing estimates from church-run charities and activists, reported that the group is now made up of about 2,500. By Monday evening the group had entered the eastern Guatemalan town of Chiquimula. He promised legislation 'along the same lines' as Trump?s proposed executive order eliminating citizenship rights for babies born to noncitizen parents. Sen. Lindsey Graham (R-S.C.) on Tuesday backed President Donald Trump?s vow to end birthright citizenship for babies born to noncitizen parents and said he?ll introduce legislation ?along the same lines? as an executive order the president is considering. Children born to illegal-alien parents cost U.S. taxpayers $2.4 billion each year according to a new report from the Center for Immigration Studies. The report concludes that of all births in the U.S. likely paid for by taxpayers, $5.3 billion is spent each year on children born to illegal alien or immigrant parents. Analyzing government data, CIS says that roughly 1 in every 5 child born in the United States has a foreign-born mother, accounting for 791,000 births each year. Of those, an estimated 290,000 children are born to illegal-alien parents each year. CIS estimates that 67% of illegal-alien parents are either uninsured or have access to Medicaid. The United States is one of only two developed nations [Canada] to still grant automatic citizenship to nearly every child born in the United States, regardless of the parents' immigration status. Rep. Steve King (R-Iowa) has introduced H.R. 140 that would eliminate Birthright Citizenship. But now they're saying I can do it with just an executive order. Now, how ridiculous 'we are the only country in the world where a person comes in, has a baby, and the baby is essentially a citizen of the United States for 85 years with all of those benefits' It's ridiculous. It's ridiculous and it has to end. Sen. Graham cheered Trump's move against birthright citizenship, citing it as a significant 'magnet' for illegal immigration. As Attorney General Jeff Sessions departs President Trump?s administration, New York Times best-selling author and populist conservative columnist Ann Coulter says there is ?obviously no one? left to enforce immigration law in the president?s cabinet. In exclusive comments to Breitbart News, Coulter said Sessions? departure leaves a gap for who will be the chief enforcer of Trump?s pro-American immigration reforms, which the Attorney General had taken the lead on since his confirmation to the post. ?Obviously no one,? Coulter says of who is left to champion Trump?s immigration agenda. ?Is Stephen Miller a potted plant? Was Trump patting him on the head every time he?d insult and humiliate Miller?s former boss? ?Modern sociologists and anthropologists, especially with advancements in DNA studies, debate whether Judaism is a people, a religion, or both. There is no doubt, however, that many people have and continue to view being Jewish as a racial identity,? Hornsby wrote. As Chairman of the House Judiciary Committee from 1949 to 1973 (except for a break from when the Republicans controlled the House), Celler was involved in drafting and passing the Civil Rights Act of 1964, the Civil Rights Act of 1968 and the Voting Rights Act of 1965. In January 1965, Celler proposed in the House of Representatives the Twenty-fifth Amendment, which clarifies an ambiguous provision of the Constitution regarding succession to the presidency. Also in 1965, he proposed and steered to passage the Hart-Celler Act, which eliminated national origins as a consideration for immigration. This was the culminating moment in Celler's 41-year fight to overcome restriction on immigration to the United States based on national origin. The US Gun Control Act of 1968 directly evolved from Celler's Bill H.R. 17735. We will be forced to close the Southern Border entirely if the Obstructionist Democrats do not give us the money to finish the Wall & also change the ridiculous immigration laws that our Country is saddled with, Trump wrote on Twitter. Go back to pre-NAFTA, before so many of our companies and jobs were so foolishly sent to Mexico, he wrote. Either we build (finish) the Wall or we close the Border. Indiocracy - Brawndo : It's got what plants crave! CBS News deleted a ?fact check? of Trump?s border wall speech on Tuesday night which said the situation with migrant women being raped while illegally crossing our southern border is even worse than he described. The 2018 omnibus provides just enough funds to build 33 miles of fencing on the Texas border ? but it also provides $500 million to help Jordan build a wall and defense line against jihad terrorists trying to cross its 287-mile border with Iraq and Syria. SEC. 9011. Up to $500,000,000 of funds appropriated by this Act for the Defense Security Cooperation Agency in ? ?Operation and Maintenance, Defense-Wide?? may be used to provide assistance to the Government of Jordan to support the armed forces of Jordan and to enhance security along its borders. For the ? ?Counter-Islamic State of Iraq and Syria Train and Equip Fund? ?, $1,769,000,000, to remain available until September 30, 2019 ? On Friday?s broadcast of HBO?s ?Real Time,? author and columnist Ann Coulter argued that the way to ?get? President Trump is the fact that ?he promised? a wall ?for 18 months and he lied about it.? Coulter said, ?You want to get Trump? I?m telling you how to get Trump. He promised something for 18 months and he lied about it. That?s how you get Trump. It?s not this Russia nonsense.? The following 11 reasons should be forwarded over and over again until they are read so many times that the readers gets sick of reading them. Still under the MSM radar .... the rampaging killer ... no news ... because he was an illegal alien "dreamer" ? 1 free article left. $3 for 3 months. Wilbur Martinez-Guzman was formally charged after he allegedly pawned stolen jewelry that belonged to at least two of the murder victims who were recently found dead in their homes, according to court documents. Martinez-Guzman, who was 19 when he was arrested by police on Saturday night and was held on immigration charges, has been named the only suspect in four murders. He will hear the first of what likely will be more charges against him in a court hearing in Carson City on Thursday. The Washoe and Douglas County district attorneys have murder charges in the deaths of Connie Koontz, Sophia Renken and Jerry and Sherri David expected this week. Koontz, 56, was found dead inside her home in Gardnerville Ranchos on Jan. 10. On Jan. 13, Renken, 74, was found dead in her home about a mile away. David, 81, and his wife Sherri, 80, were found in their South Reno home on La Guardia Lane on Jan. 16. Little is known about Martinez-Guzman, who is undocumented. Police said they believe he has been in Northern Nevada for about a year. He was not on the radar of police and has family who live in the area. He turns 20 sometime this month, according to police. Furlong said on Wednesday that his office has been contacted by a member of the consulate of El Salvador. He said his office may be setting up a meeting between a member of the consulate and Martinez-Guzman. A sheriff's report says a 19-year-old from El Salvador admitted killing a married couple in Reno and used a handgun that he said he stole earlier from their home do it, the Associated Press has reported. Carson City Sheriff Ken Furlong released the declaration of probable cause Friday in response to a request from the Associated Press. It says Wilber Martinez-Guzman admitted using a .22-caliber revolver stolen previously from the home of Gerald and Sharon David in Reno to kill them on Jan. 16. The gun was recovered from a BMW in which authorities arrested Martinez-Guzman on Jan. 19 in Carson City. 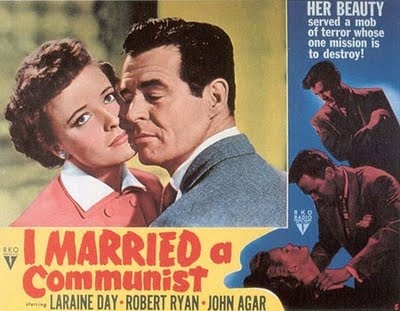 Is this the moment John Roberts became Anthony Kennedy? The U.S. Supreme Court dealt a blow to President Donald Trump on a signature issue, refusing to let him start automatically rejecting asylum bids by people who cross the Mexican border illegally. The justices? order, on a 5-4 vote with Chief Justice John Roberts in the majority, left in effect a lower court decision that temporarily bars the president from changing the rules for people who claim asylum after entering the country from Mexico. Justices Clarence Thomas, Samuel Alito, Neil Gorsuch and Brett Kavanaugh dissented. Although the legal fight isn?t over, the high court rebuff of Trump?s request to block the order suggests skepticism about the administration?s legal case. This is no random case. The lower-court decision is the one that launched a brief war of words between Trump and Roberts last month. Judge Jon Tigar, an Obama appointee, blocked the White House from instituting its new policy requiring migrants seeking asylum to apply at a port of entry. If they attempt to apply for asylum by crossing illegally and surrendering to the Border Patrol, Trump wants to be able to toss those applications straight in the trash. It?s all about incentives. Want asylum? Then seek it in an orderly, law-abiding way. Full text of "The Brooklyn Jewish Center Review"
Immigration advocates say asylum seekers from sub-Saharan countries such as the Democratic Republic of Congo and Angola are coming to Portland because the city has an established immigrant community and because it has programs to help support asylum seekers while their applications are being processed by a strained immigration system. And, unlike most states, Maine provides emergency financial assistance to asylum seekers through the General Assistance program that is funded by the state and communities such as Portland. Most asylum seekers in Maine enter the country legally, either on a temporary visa or by presenting at a port of entry and declaring their intent to seek asylum. 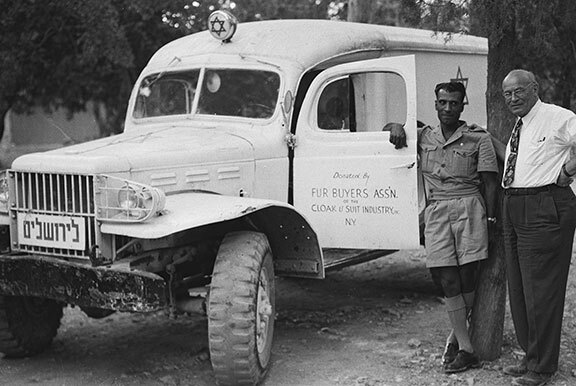 They often exhaust their financial resources, and sometimes endure a long and dangerous journey through South and Central America to get here. Rwaganje and other immigrants to Maine said they are listening closely to what the four candidates hoping to replace Gov. Paul LePage are saying when it comes to the state?s newest residents ? such as how much state aid they should be afforded and what policies they might advance to support immigrant communities. Rwaganje, who fled the Democratic Republic of the Congo more than 22 years ago and sought asylum in Maine, is now a naturalized U.S. citizen. He has been voting for years and said he will be at the polls on Nov. 6. As a budget deal in Augusta eliminates public assistance for legal non-citizens who took refuge in Maine, the city must decide if its property taxpayers will foot the bill. Claude Rwaganje, who fled the Democratic Republic of Congo in 1996 and now helps refugee families in Maine, has been fielding many phone calls from asylum seekers asking him what will happen to General Assistance. ?They are afraid,? he said. The Maine Legislature decided early Wednesday as part of a budget compromise to eliminate public assistance for immigrants who are seeking asylum and, in many cases, not allowed to work. The decision raised many unanswered questions about what will become of Maine?s roughly 1,000 asylum seekers, the vast majority of whom live in Portland. Portland officials and advocates for immigrants said they still hold out hope that the Legislature will pass a separate bill to make asylum seekers eligible for public assistance. But the odds appeared long that such a bill could win the two-thirds support of lawmakers needed to override an inevitable veto by the governor. Over the weekend in Maine, a white man was brutally beaten to death by a mob wielding bricks and bats. Of course, most Americans saw no mention of this horrific case by the mainstream media, and it?s all because of one infuriating reason. Disturbingly, ethnically homogeneous migrant communities have begun festering in the U.S., in which Sharia law is freely being enforced as local authorities turn a blind eye out of fear of political correctness. Just as we?ve predicted, it has once again resulted in the brutal murder of an American citizen. However, the most sinister aspect of the savage homicide is the behavior of the mainstream media. The media, which once upheld its moral duty to report the unsavory truth, has officially buried a serious national story concerning a probable hate crime murder because the killers are Somali Muslim asylum seekers. In fact, even the local outlets that have covered the horrific case have blatantly omitted any mention of the perpetrators? race or migrant status, referring to the mob of Muslim murderers as ?teens.? According to the Lewiston Sun Journal, 38-year-old Donald Giusti died on Friday evening after he was attacked and beaten by a mob of 30 to 40 ?people? (Somali migrants) in Lewiston?s Kennedy Park. Giusti was smashed in the head with migrants wielding sticks, bats, pipes, and bricks after Somali teens in a car reportedly drove past and shot pellets and BB guns at the victim and several companions. Absurdly, even the police were cautious in their description of the murderers, hinting at the suspects? Somali migrant background by referring to their ?different ethnic origins? when asked by the media if race played a part in the homicide. 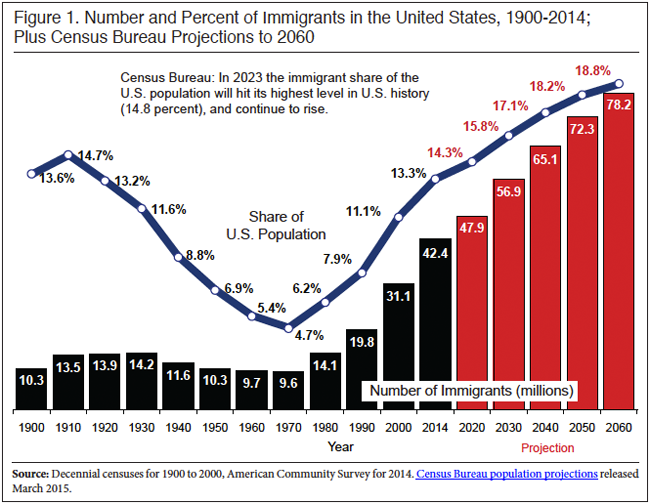 The Census Bureau is projecting that the population of the United States will hit 404 million by 2060, and nearly all of the net growth will be from immigrants and their families. Yet, it's no less fervent. Our city's head theologian, Nancy Pelosi, recently issued her final decree on the ethics of border walls. It was swift and final. It?s great that members of Congress have located specific legislative language permitting the president to build a border wall, but I?m wondering: Has anybody read the Constitution? You can say that illegal aliens streaming across our border is not a ?military invasion,? but, as even George W. Bush recognized after the 9/11 attack: We are in a new kind of war now. This is not the Franco-Prussian War, fought with colors and feathers, but a war of ?lone wolves? and millions of civilians breaking into our country and harming our citizens. With millions of foreigners illegally pouring across our border, it sure looks like the laws are not being ?faithfully executed.? I wonder if the COMMANDER IN CHIEF has any authority to stop it. LAS VEGAS (AP) ? A man suspected of being in the U.S. illegally shot and killed four people in Nevada over the past two weeks, including an elderly Reno couple, authorities said, and the slayings added fuel to the immigration debate. 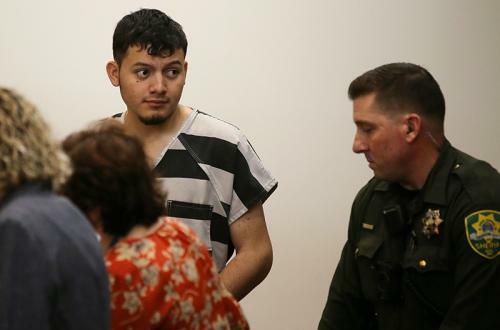 A judge has set bail at $500,000 for a 19-year-old from El Salvador accused of possessing weapons and pawning property stolen from victims in four northern Nevada killings. A prosecutor in Carson City characterized the case against Wilber Martinez-Guzman on Thursday as "not your run-of-the-mill property crime." Melanie Brantingham noted that most of the items Martinez-Guzman is accused of possessing and selling belonged to homicide victims. Martinez-Guzman wasn't charged with murder and wasn't asked to enter a plea at his initial court appearance following his arrest last Saturday. (CNN) A federal judge ruled late Friday she is unconvinced of an immediate need to block a citizenship question from the 2020 census over privacy concerns. The court sided with the government, with much of the technical, 20-page decision centered on the question of when the law requires the assessment to be completed. The 2020 Census also triggers redrawing of local maps in many states, known as redistricting, including drawing new districts in states that will gain Electoral College votes. Because the party in control of the state legislatures controls the drawing of maps in many states (and can make them more favorable to its own party), 2020 has set off an arms race to gain control of state and local contests. The Republicans have pledged $125 million to the effort of holding on to important state legislative majorities and gaining more. Democrats also plan to pour millions into their own 2020 effort. "Having control of the process is just about everything when it comes to redistricting," says Tom Bonier, CEO of TargetSource, which works with Democratic organizations. "It's impossible to overstate the importance of gaining control of the redistricting process before 2022." Editor's Note: Every 10 years, the U.S. Census takes a new measure of the American population. It?s more than a mere headcount. The outcome governs the number of seats each state has in the U.S. House of Representatives and how many electoral votes each state will cast in presidential elections. In this series, Best States focuses on states that will gain and lose clout after the 2020 Census, and how the national political ground is shifting as a result. Nothing like a S sandwich in the morning ... The Congress sends the potus open borders legistlation along with funding the govt. He would and should have just signed the funding back in december and declared an emergency then ... He's dealing with VIPERS ... and he need to treat them as such ./..
Update: The White House said Trump's speech has been delayed until 10:30...which probably means he won't start speaking until closer to 11 (if the recent past is any guide). Before signing the border funding bill that has now passed both the House and Senate, President Trump is reportedly planning to announce his plan to declare a national emergency to source an additional $7 billion in funding for his border wall beyond the $1.35 billion for a "physical barrier" approved as part of the compromise bill. Basically, the media use propaganda to stop Trump from getting the resources he needs ? so that they can then turn around and blame him for the problem. This is all about 2020, all about the media working with Democrats in the hopes of undermining Trump?s base of support by undermining his ability to keep a central campaign promise about fixing America?s illegal immigration problem. Arrests of families crossing into the U.S. illegally in the past five months hit a record, prompting the chief of Customs and Border Protection to say the system is at ?the breaking point.? More than 66,400 people were arrested in February, making it the busiest month since President Trump took office and the busiest February since 2008. The numbers were the sharpest evidence yet that, despite Mr. Trump?s efforts to crack down on illegal immigration, the flow of migrants is only growing. ?This situation is not sustainable,? Customs and Border Protection Commissioner Kevin McAleenan said while releasing the numbers Tuesday. ?The system is well beyond capacity and remains at the breaking point.? President Donald Trump on Friday night halted all direct foreign aid to El Salvador, Honduras, and Guatemala, fulfilling a longstanding threat to end payments to so-called ?Northern Triangle? countries if they failed to halt migrant caravans headed for the United States. ?At the secretary?s instruction, we are carrying out the President?s direction and ending FY 2017 and FY 2018 foreign assistance programs for the Northern Triangle. We will be engaging Congress as part of this process,? a State Department spokesperson said on Saturday. ABC News on Friday called the development a ?stunning about-face,? citing White House advisers who have described direct financial assistance as an important tool in reducing illegal immigration. Homeland Security Secretary Kirstjen Nielsen was in Honduras just last week and signed a landmark partnership agreement with the Northern Triangle governments on Thursday. Vast majority of those crossing between ports of entry turn themselves into Border Patrol agents, seeking asylum. On Friday, Trump threatened to close the U.S.-Mexico border if Mexico didn't stop undocumented migrants from coming. Lately, the migrants have been arriving at a clip of around 800 a day, overflowing the respite center and straining city resources. ?It?s staggering,? McAllen City Manager Roy Rodriguez said. ?Really, we?ve never seen anything like this before.? U.S. Customs and Border Protection Commissioner Kevin McAleenan said Wednesday during a visit to El Paso that the border had hit its "breaking point" and urged Congress to come up with legislative solutions to the problem. SHUT THE BORDER DOWN! THE U.N. OPEN MIGRATION PACT CONTINUES TO EXPLOIT OUR WEAK IMMIGRATION-LAWS. AMERICA FIRST! The simple fact was the Texians did not have the manpower to effectively defend all of the ramparts and as casualties mounted gaps began to appear and the Mexicans soon began to flood into the Alamo's interior and as had been agreed earlier once the walls were breached the Texians withdrew to the barracks and the Chapel for a last stand. Those who could not reach the inner-defences now began to try and flee, some made for the San Antonio River, others for the East Prairie but Santa Anna had ringed the Alamo with 500 cavalry with the express purpose of preventing any such attempt to escape. The fleeing men were cut down and killed. The last group still defending the outer-walls were Davy Crockett and his Tennesseans. President STOP THE INVASION - Its the CONSTITUTION ... !!! President Trump signed a directive Friday ordering the government to end the so-called ?catch-and-release? policy at the border, moving to combat what the administration says is a growing ?crisis? of illegal immigration. He called for illegal immigrants nabbed at the border to be held in custody, to the fullest extent possible. He also ordered more asylum officers to head to detention centers so they can rule on cases faster, calculating that if they can clear the cases they can send undeserving migrants home without having to release them. In a memo to his attorney general and secretaries of the State, Defense, Homeland and Health and Human Services departments, Mr. Trump also demanded regular updates on progress, and told them to submit requests for any new resources they need. Wow ... silence over the serial murderer in Reno ... Oh no speedy trial for the alleged murderer ,,, to keep it out of the papers ..
A trial date in April 2020 has been set for Wilber Martinez-Guzman, the 19-year-old accused of killing four people during a 10-day murder spree through Douglas and Washoe counties. On Tuesday, Martinez-Guzman had an arraignment in Washoe County District Court, where he waived his right to a speedy trial. He pled not guilty to murdering four people in Reno and Gardnerville in January. He also pled not guilty for burglary and possession of stolen weapons. It takes a whole year from now to see this creep on trial??? The U.S. Court of Appeals for the Ninth Circuit temporarily stayed a lower court order on Friday that had blocked President Donald Trump?s asylum policy. The stay lasts only until the court can decide the next steps of the latest ongoing legal challenge to the crisis on the Mexican border. Migration law at 8 U.S.C. ? 1225(b)(2) authorizes the secretary of DHS to return aliens who crossed the Mexican border back to Mexico while their asylum claims are processed. DHS is using that statutory authority.